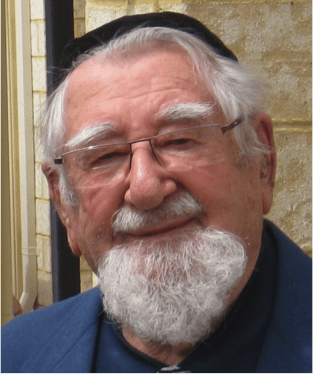 Australia’s most senior Rabbi is celebrating his 95th birthday with the launch of a biography and tribute. Rabbi Dr Shalom Coleman is Honorary Life President of the Organisation of Rabbis of Australasia and Emeritus Rabbi of the Perth Hebrew Congregation. The biographical account of his life commences with the story of his family background and youth in Liverpool, England. His wartime service to the Royal Air Force, and post war dedication to the Zionist movement brings to life first hand encounters with the early leaders of the modern Jewish State. His biography then traverses four Rabbinic postings in Potchefstroom and Bloemfontein (South Africa), Sydney and Perth (Australia). It was his service to the Perth Jewish Community, his place of residence for almost 50 years that laid the foundation for the religious renaissance and explosive growth of Australia’s third largest Jewish community. Rabbi Coleman transformed Perth Jewry by delivering revolutionary educational initiatives and critical infrastructure. He has since had the merit to retire into the flourishing community and witness the fruit of his efforts. Not content with his accomplishments within the Jewish community, Rabbi Dr Coleman has been a statesman to the broader community, delivering an exhaustive list of public service to charitable organisations and State agencies. He has served as a District Governor of Rotary, a Justice of the Peace, a Grand Master to the Freemasons, and as a Member of the Murdoch University Senate. He was appointed to the Karrakatta Cemetery Board, was Chairman of the Perth Dental Hospital Board, vice chair of the Save the Children Fund, and remains a Patron to the Family Association of Australia. These and many other contributions to the community have earned him a CBE and many other public honours. The extraordinary level of energy that Rabbi Dr Coleman dedicates to the many thousands upon thousands of lives that he has touched continues unabated today. An active nonagenarian, the Rabbi continues to teach a weekly Talmud class, officiates at the Synagogue of the Maurice Zeffert Home (of which he is an Honorary Life Governor), and is actively engaged by congregants and community groups. The launch of the book Spiritual Treasure not only recounts a life that has spanned some of the momentous events of modern history, but also serves as an important contribution to the historical literature of Jewish Australia. The personal experiences of Rabbi Coleman have been brought to life by the inclusion of tributes, anecdotes, and testimonials from a broad range of contemporaries, congregants, friends and family members.